It's the 9th Day of Christmas! Very close now! Hope you have that shopping done. This is an ornament I received form the people I work with at the railroad outside Topeka. They send a lovely ornament every year a bit personalized for the railroad. 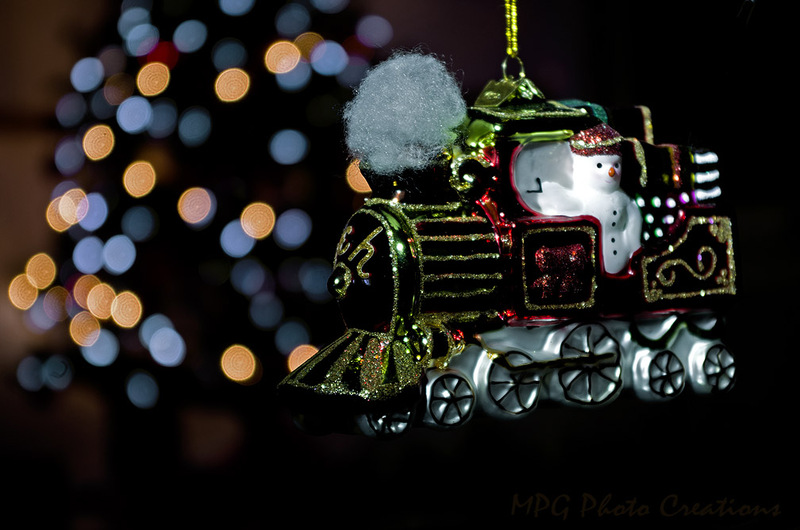 I took this in front of the tree for a bit of light bokeh.